Professor Elyane Dezon-Jones has retired from Washington University in Saint-Louis where she offered courses in twentieth century French Literature and was Director of Graduate Studies. Before that she taught for ten years at Barnard College, Columbia University, New York. A specialist in textual studies and a member of the Equipe Proust ITEM/CNRS, she edited Proust’s Swann’s Way and The Guermantes Way. She was also the editor-in-chief of Bulletin Marcel Proust for several years. Interested in French women writers as well, Professor Dezon-Jones published Marie de Gournay: fragments d’un discours féminin and is currently coordinating the publication of a multi volume critical edition of Marguerite Yourcenar’s correspondence for Editions Gallimard. Chevalier dans l’ordre des Palmes académiques and dans l’Ordre du Mérite, she has widely published and lectured in many countries. 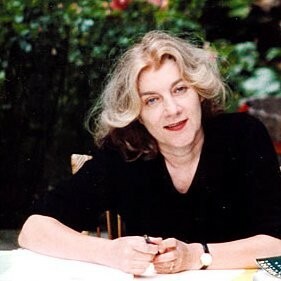 Under the pen name Estelle Monbrun she is also the author of several literary mysteries.